White Oak Aikido welcomes beginners all year. Just come along and try a free taster session. 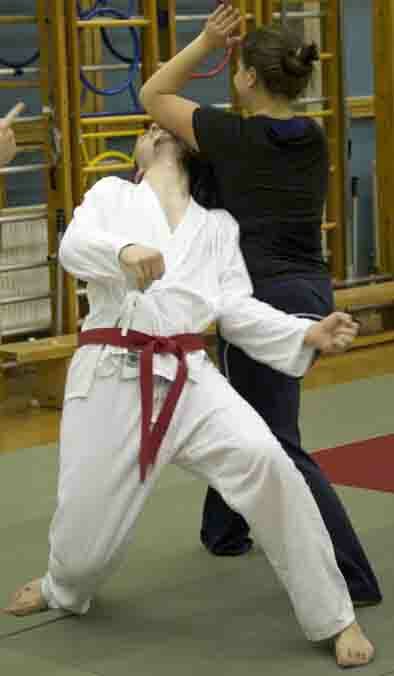 White Oak Aikido offers Reading University students martial arts training at reduced rates. 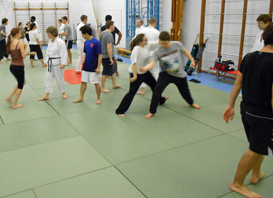 We train twice a week at our Aikido club in West Reading at the YMCA on Thursdays and Sundays and once a week at our Caversham Aikido dojo on Tuesdays, so you could train up to three times a week. 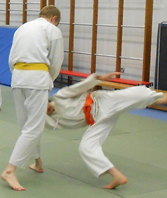 If you're not sure if Aikido is right for you, why not come and just watch a session and have a chat with some of the members or have a go - your first session is free and there's no commitment. Just wear something you can move in (t-shirt and track suit trousers are ideal, and wear something on your feet to the edge of the mat). Home page of White Oak Aikido in Reading, Berkshire, UK - please go here to find out more about Aikido training in Reading.